The evolution of learning into a much advanced digital realm was deliberate, yet there involved a stimulating crave for it before its inception. The conventional learning methodologies have been around for decades and as the world changes, education as a fundamental building block of the world should also have to be modified, isn’t it right? Currently, digital learning possibilities are widely utilized by individuals as well as enterprises who aims to boost their growth and potential. 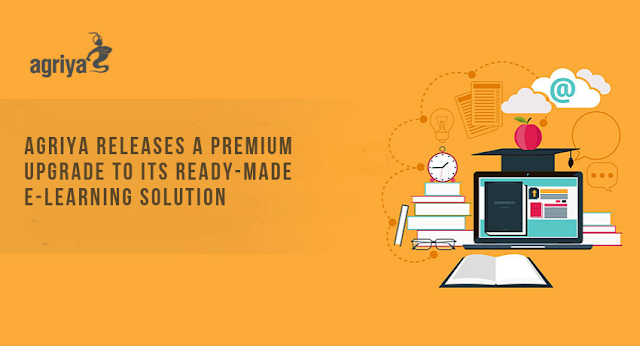 E-learning solution from Agriya’s premium product line signified the smart, in fact, an advanced digital learning paradigm for millennial businesses. It has served a multitude of enterprises from diverse business verticals. Now, with an intention to transcend its over-all experience and to bring forth the best out of its functionalities and features, Agriya issued an enhancement-focused upgrade for the same. Above all virtues we, Agriyans values sheer consistency and well-timed innovation. Since our premium online learning solution has been serving the market for a considerable period of time, we have lately performed a deep analysis based on market conditions, customer insights and demands. And we felt a rush to further innovate and renovate our prestigious e-learning solution into something that clearly facilitates millennial businesses. As we began comprehending the user’s preferences and behaviors, we sorted out a handful of factors that really needed our attention. The prior concerns were regarding the efficiency and reliability of the payment gateways we have already integrated. Thus and so, with a clear intention to drive more efficiency and precision to the transactions occurring within the platform, we opted a stripe-based payment mechanism. And since we found it much simple and also, it assures secure interaction with its servers, we incorporated the same into our renowned e-learning solution. Apart from its simplicity, Stripe is also known for its user-focused approaches; it has no setup fees, no monthly fees, no minimum charges, and no card storage fees as well. Even though incorporating a novel revenue model was merely an initial suggestion, it turns out to be one of the most innovative additions in this upgrade. Because we include a subscription-based pricing stream, it facilitates businesses efforts to improve the customer retention rate and payment safety. Also, it streamlines the cash flow management efficiently, it helps them scale up their business as well. In a nutshell, a subscription-based model not just deliver consistency but all-around stability to the business. The E-learning solution from Agriya’s premium product line has a clear upper hand over other similar platforms; it is all-encompassed and involves everything you need to counter the rising competition in the digital learning market. Above all, since it is developed a ready-made solution, it makes it simple for you to set up an excelling online learning platform from the get-go. And with all essential features and functionalities included in, it aids you to make the best out of your efforts and strategies.